14 Sep 2005, half past noon. National Park Highpoint #8. 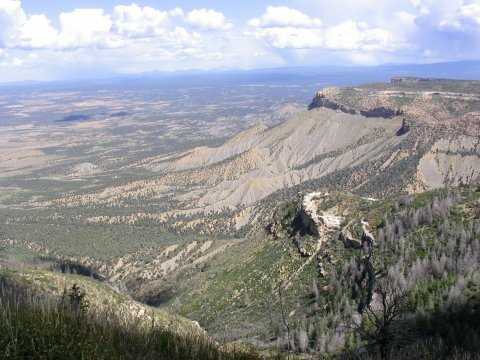 On 14 Sep 2005, I took the very short hike, over a paved trail, to Park Point, the highest point in Mesa Verde National Park. The view down below, to the north, was nice. 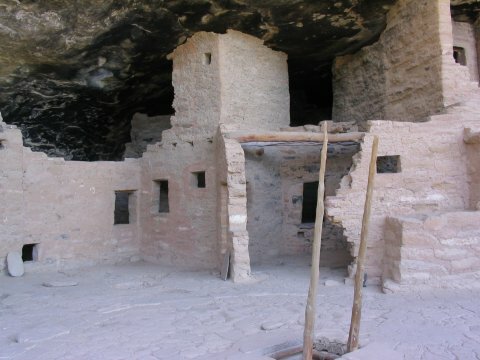 Afterwards I made a quick stop at Spruce Tree House for some photos of the cliff dwellings. The park was not as crowded as during my first visit, years ago. At the time, the paved trails were jam-packed with visitors. 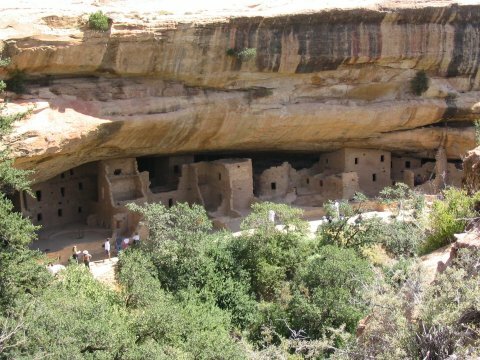 On that trip, we took the fairly short Petroglyph Point trail, which starts at the main paved trail to Spruce Tree House. The change in tourist density when you took a single step off of pavement was startling. 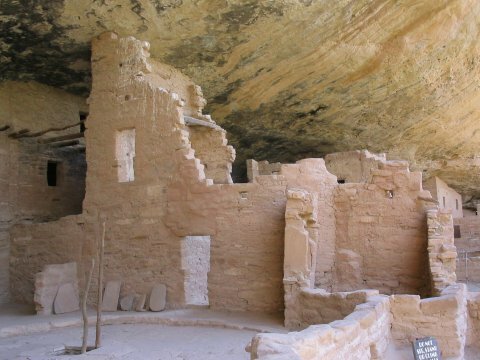 Close-up of Spruce Tree House. 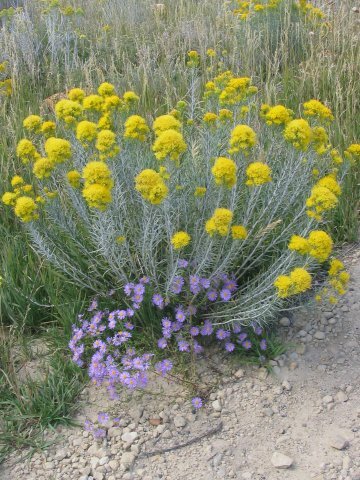 The park was dotted with yellow and purple wildflowers.